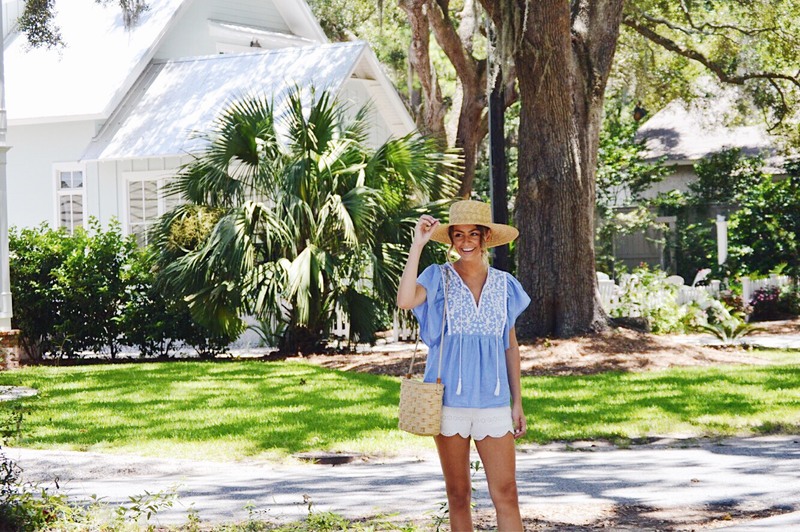 Two Blue & White Looks For Summertime. 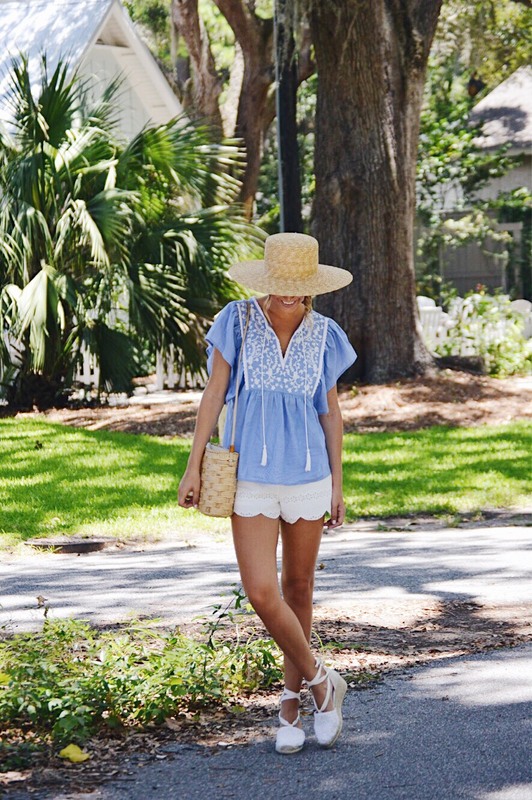 Blue and white is such a classic combination and I really can't seem to get enough of it this summer. 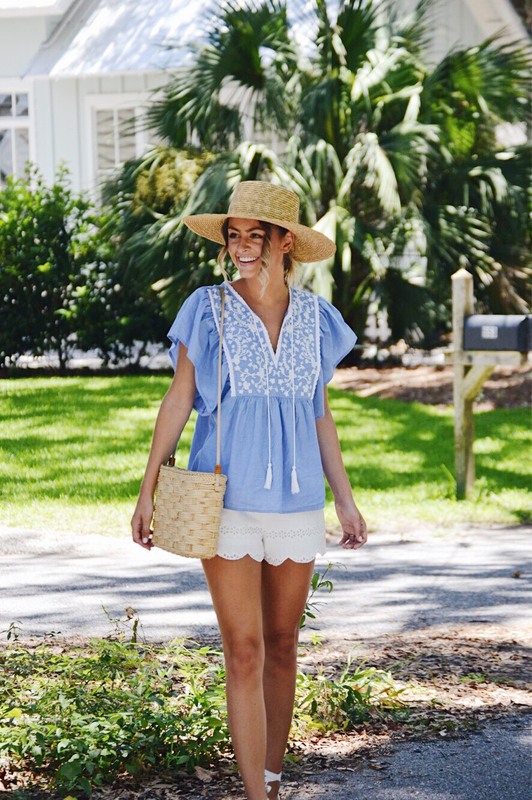 For today's post I put together two different blue and white looks from Miss Match Boutique that can be worn for all of your summer festivities. 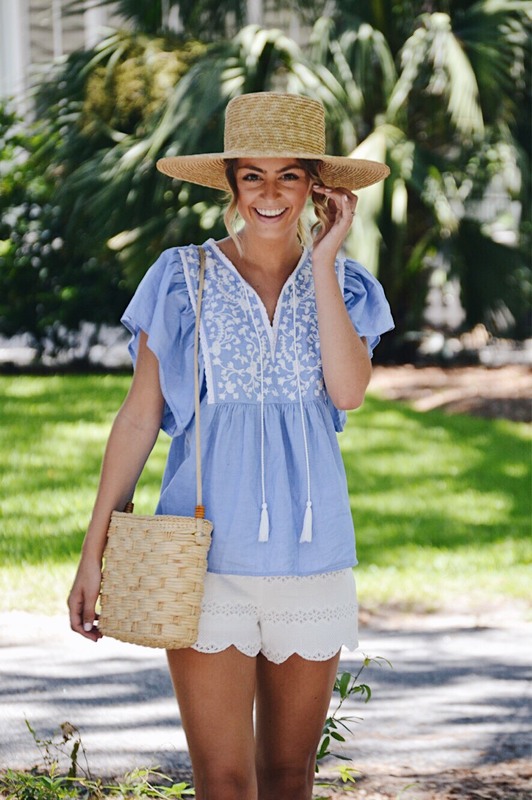 For the first outfit I wore this blue blouse with white embroidery on it paired with these darling eyelet, scalloped shorts. As far as accessories go, I went with my usual straw hat, basket bag and some white espadrilles. This look would be perfect for any casual summer setting such as shopping or lunch with the gals. 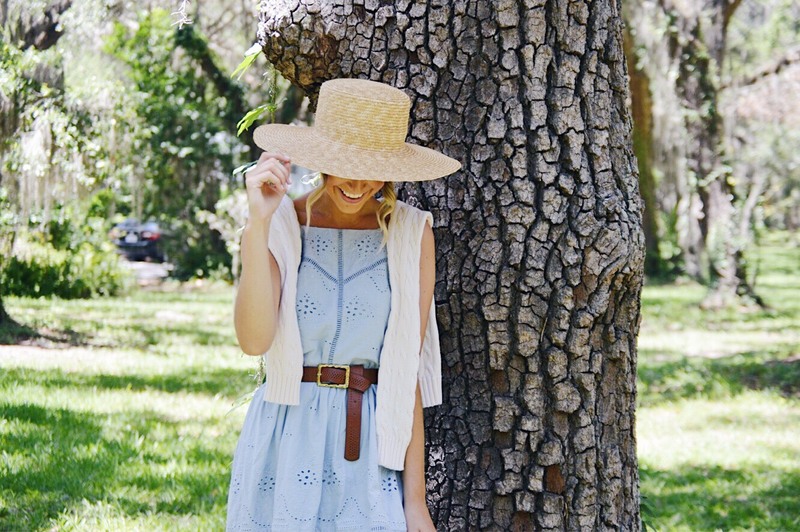 For my second look, I wore this dainty blue dress from Miss Match paired with a simple sweater over my shoulders, my sun hat and these mules from Nicole. This look would be oh-so perfect for a sweet summer wedding or even for Sunday brunch. Let me know which look from Miss Match Boutique is your fave! *Use the code Simply20 for 20% off your Miss Match purchase! Love. Found you on IG.